If ever I did have to choose a favorite soup noodle (other than anything Malaysian of course), it would be the ramen. Deeply flavorful pork broth with buttery pork slices and perfectly al dente noodles. It’s not an easy combination to perfect, and few do it well. So I’d like to highlight the folks in NYC who have attempted and did well (ok, some did only decently). We’ll start with Terakawa Ramen. Nested in the middle of Gramercy, on Lexington Ave between 23rd and 22nd st, is this nondescript Japanese restaurant that seemingly looks innocuous and borderline boring, like just another Japanese restaurant you would find in any other city. Not every ramen they make is good, but a week ago I tasted one that was actually worth mentioning: the Mayu Ramen. 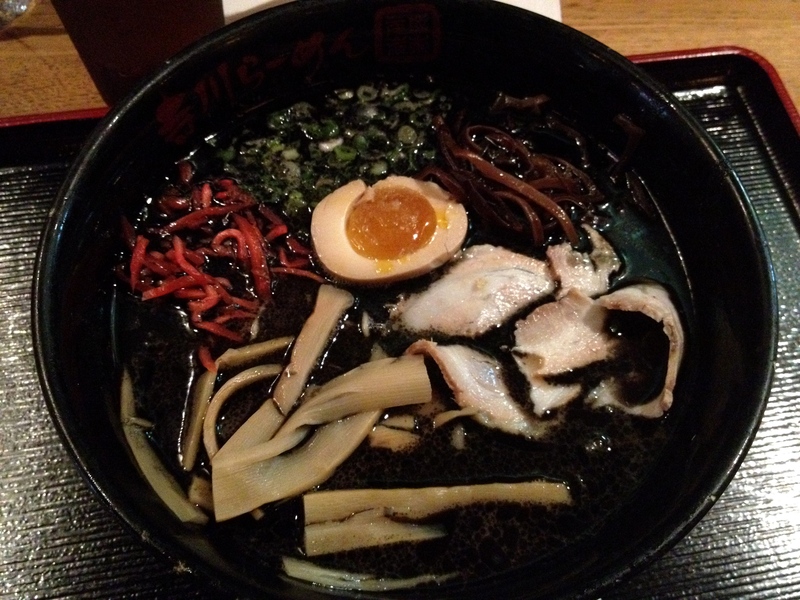 Accented with black garlic oil, I think it is by far the best ramen I’ve had here at Terakawa. It’s fragrant and is just perfect for the cold, rainy night (Ok, I know it’s the summer and cold nights are hard to come by, especially after the hot spell we’ve had, but even then, I would still eat a bowl of this). It never really gets very crowded here, so it’s almost always possible to get a seat. And it’s good for groups as well. So, there you go. First ramen of the series. I can’t wait to read more about ramen!